A Very Merry Christmas Murder [Download] - �.99 delivered. Albi LeGrinch, the world抯 most successful christmas tree merchant, is hosting a big family-style Christmas at his winter wonderland estate. But before any presents can be ripped in the large glass-fronted foyer of Albi抯 luxury mountain-side mansion, he's found hanging from the top of his own giant Christmas tree with industrial grade tinsel! Who committed such a ho-ho-ho horrific deed! * Play with ANY number or combination of 4-8 suspects. 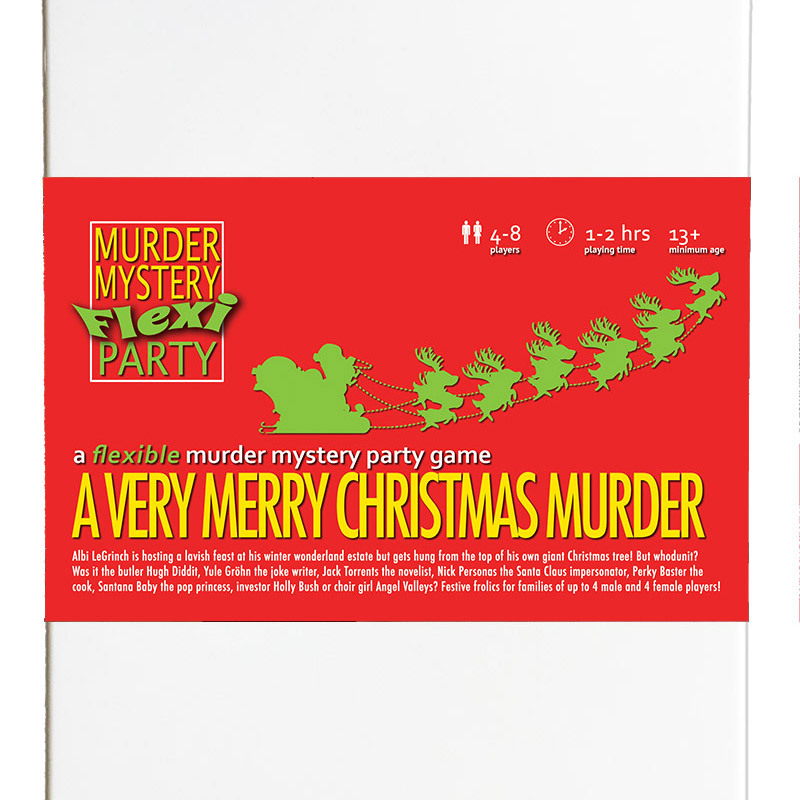 However, we feel A Very Merry Christmas Murder should be suitable for teenagers.